BinaryM has been almost exclusively leveraging WordPress as the backbone of our custom solutions since 2005. A lot of companies promise complete service–until they come up against a problem they haven’t solved before. Often this is caused by the inability to develop solutions without plugins or frameworks on top of WordPress, so when something breaks they are at a loss. Experience Matters! We can build it from scratch, or we can provide innovative solutions, maintenance and more for your current online property. Either way, BinaryM delivers. 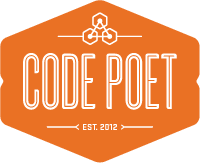 In 2012 BinaryM was added to the Code Poet Directory which is an exclusive directory of WordPress professionals, web designers, and developers. It’s brought to you by Automattic, the company behind WordPress.com and the largest operator of WordPress sites. We’re honored to be included with many great agencies. 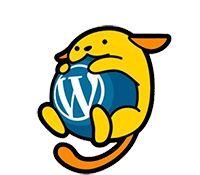 We’re heavily involved in the WordPress community and have organized several WordCamps and Meetups in both San Diego, CA and Charlotte, NC. We strongly believe that giving back to the WordPress community is one of the keys to BinaryM’s success. We believe that efficient and extensible software is effective software. We build solutions that take not just the problem at hand but the future in mind. Following coding standards defined by the WordPress organization, our software implements best practices to ensure secure, stable and scalable applications. Theme Development – We build custom WordPress themes from the ground up- adhering to modern, supportable coding standards and delivering simple, yet beautiful websites. Web Application Development – For enterprise-level software solutions, our team can mold WordPress to accomplish the most complex tasks, while maintaining a simple to use interface that makes WordPress so popular. From small WordPress customizations to complete SaaS (software as a service) solutions, we’re the team that can execute software that fits what your business needs. Custom Plugins – Sometimes a company’s needs are so specialized that only custom programming can bridge the gap between what WordPress does and what a company needs it to do. 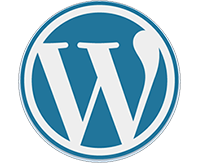 Our development team is adept at creating and extending WordPress plugins to solve business problems through custom software. API Integrations – Extending our solutions with external APIs is key to streamlining workflows for your company. We have integrated virtually all of the big player’s APIs (Google, Salesforce, Twitter, MailChimp, Etc etc) along with countless small & custom API endpoints. We love solving complex problems by combining APIs in novel ways. Give us a few minutes of your time and tell us about your business challenges and where you want to go. BinaryM is a distributed agency with members all over the United States, our leadership is in San Diego, CA and Charlotte, NC.